It is quite likely that if you have made the decision to build a new home, you are about to embark on a brand new experience. Without ever having done anything like this before, it is easy to fall into any number of common pitfalls when looking for the right builder. These mistakes can be costly and can lead to regrets that could last for years to come. 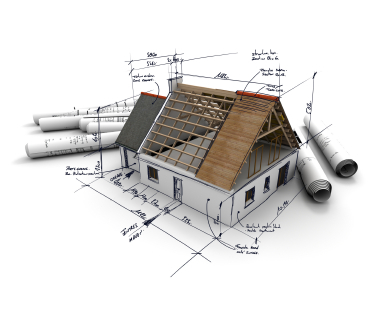 However, this can be avoided if you follow a few important tips before choosing a new construction home builder. Once you have narrowed your search to a few builders, be sure to check them out with the Better Business Bureau. The BBB website makes this very easy to do, and if there have been major problems reported by consumers in the past about one or more of the builders you are considering, you will find out about it here. The ratings are easy to find and spelled out so they are easily understood. Another great resource, although not as objective as the Better Business Bureau, is blogs and forums found on line. If you want to know what other consumers think of a given builder, just run a search online, using Google or Bing or another similar search engine. You will find forums, blogs, and chat rooms, where other consumers will share their experiences. It is important to note that often those who are happy with their experiences are less likely to post their thoughts and comments, so this may give you a skewed image of the builder in question. Word of mouth is sometimes one of the best resources you can tap into. Talk to your friends, neighbors, and family members about experiences they have had and those their friends have had. Few people will give a dishonest reference to someone they know personally, so if your friend or neighbor recommends a builder, it is usually a solid, reliable reference. Once you have chosen a few builders based on their model homes, their reputations, and other criteria, it is time to learn a little more. Be sure to ask them if they pay their own closing costs; not all builders do, and you may find yourself with bigger bills than you expected. You should also find out exactly how many amenities that you saw in their model home will be included in the home they will build for you. Often model homes are full of extras, and the dream house you think you commissioned only includes some of the details you loved in the model. Finally, be sure to ask for a home warranty. Reputable builders will offer a one, or sometimes two-year warranty on everything in the house. It is dangerous, however, to assume that the warranty exists, and without it, you could rack up some huge expenses in the first year if the water heater leaks or there is a problem with the wiring. Covering these details upfront will protect you from losing money down the line. Tips for Selling Your Home In Today’s Troubled Market 5 Ways To Please Your Nose By Making Your Home Smell Beautiful Making a Home Attractive to Prospective Buyers What to Purchase for Your New Home – Curtains, Rugs, Appliances, etc.